Spend the morning getting to know the farm animals at our unique petting zoo and learn about each animals special story. Meet our little diva “Makani Ua” and her handsome leading man “Surprise”! This trouble making duo can’t wait to meet you! The perfect location for a Birthday Party, Corporate Event, Private or Retreat, Party, Engagement Party or your Family Reunion. 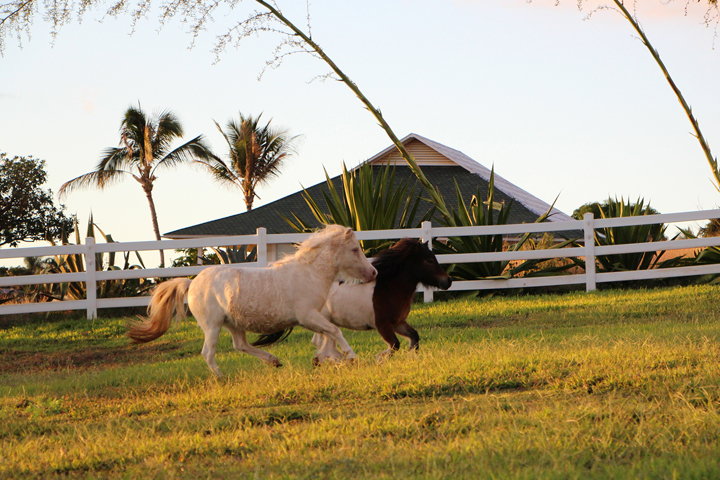 Discover 6 stunning acres of love and aloha! “Makani Ua” (Wind and Rain in Hawaiian) is as spirited as her name. She loves making friends and can’t wait to meet you! Get a sneak peek of all our animals. Set on 6 stunning acres, in the exclusive Launiupoko neighborhood, this ranch estate promises love and aloha and is the perfect location for your Kids Birthday Party, Corporate Event, Private Party, Engagement Party or Family Reunion.